Data Recovery For Windows & Mac - Specialized In Recovering Deleted Files! Data Recovery For Windows & Mac – Specialized In Recovering Deleted Files! 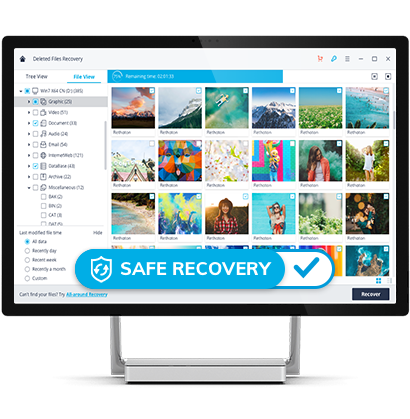 Recover Lost Data Like Pictures, Documents, Videos, Music from PC, Mac, Hard Drive, USB Flash Drive, SD Card, Camera, Recycle Bin, etc. Data like pictures, videos, documents etc are important parts of our life. We store data on PC, Mac, USB flash drive, External hard drive, SD cards, Camera etc. The pain part is when we lose these important data and find no way to recover it. Now you can use Recoverit Data Recovery software to recover data from almost all storage devices. Recoverable Files/Devices All Documents, Images, Audio & Video files, Emails, Archive files – up to 550 file types are supported. All Documents, Images, Audio & Video files, Emails, Archive files – up to 550 file types are supported. Hard Drives – Dell, HP, Lenovo, Acer, and other brands. 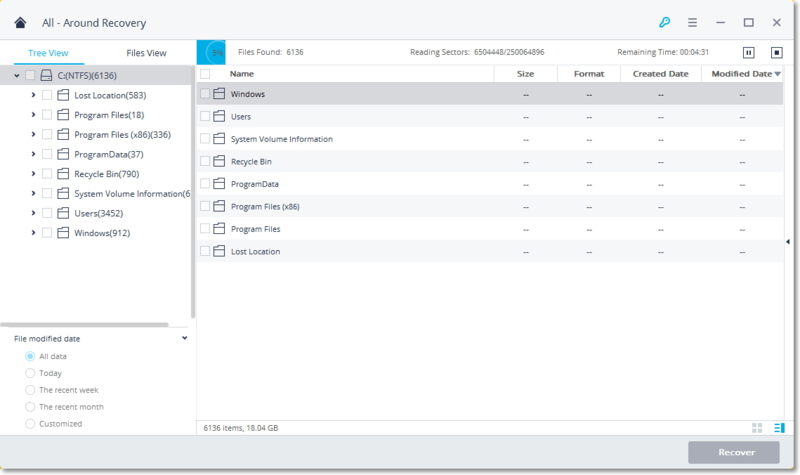 Recycle Bin – PC, Mac, Laptop, All in One PC …. Photo- JPG, TIFF/TIF, PNG, BMP, GIF, PSD, CRW, CR2, NEF, ORF, RAF, SR2, MRW, DCR , WMF, DNG, ERF, RAW, etc. Document- DOC/DOCX, XLS/XLSX, PPT/PPTX, PDF, CWK, HTML/HTM, INDD, EPS, etc. Email & Message- PST, DBX, EMLX, etc. Audio- AIF/AIFF, M4A, MP3, WAV, WMA, MID/MIDI, OGG, AAC, etc. Archive- ZIP, RAR, SIT, etc. Unexpected format of the hard drive and other storage devices. Disk initialization error when a memory card is connected to the camera. Not following correct process to factory reset of the device may result in data loss. 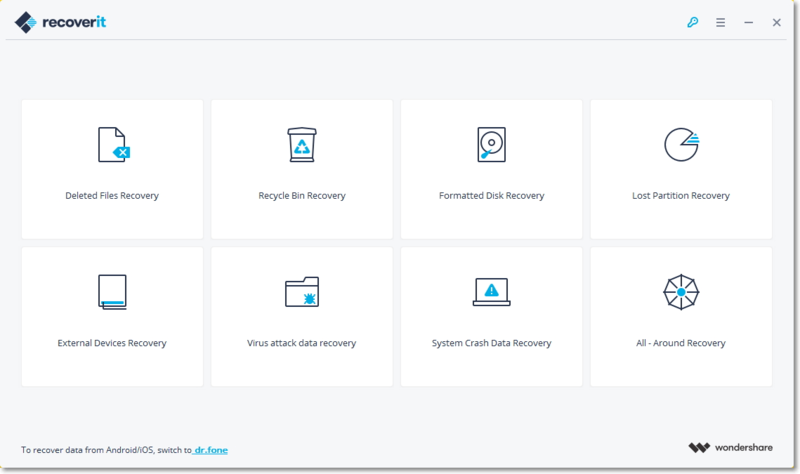 Read Only Recovery- Helps you to recover data without making any damage to the data. Analyze and Preview Before Recovery- Preview your lost data like videos, pics, documents etc before recovery. Search the Right File and Recover- Refine your search by selecting or writing the file name, date or size of the file. Download and install Recoverit on your Windows or Mac computer. Open Recoverit data recovery software and select a recovery mode to restore deleted data. Choose the path or location where data loss occurred and click on Start to scan your device/computer. 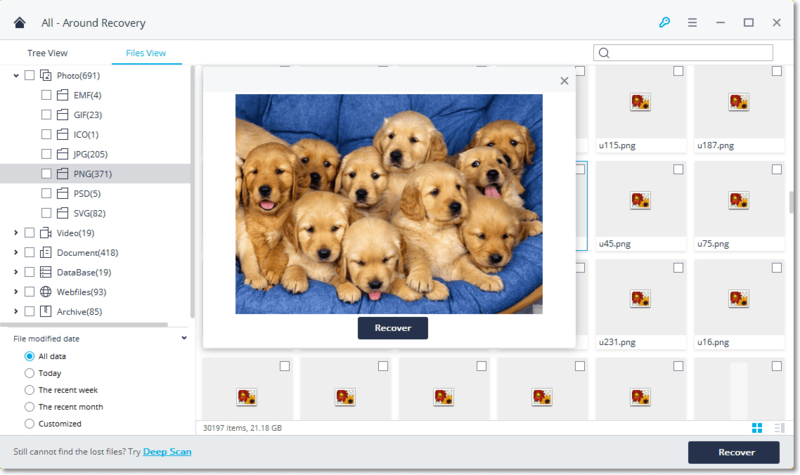 Finally, Preview recoverable files within preview screen of the software and Recover and Save Files on your computer.